Hiking through the backwoods can be such a peaceful and rewarding experience. Backpacking allows you to see your surroundings and the way nature works in a totally different perspective. For some, backpacking has become more than just a hobby, some people are dedicated to this sport. While others are trying it out for the first time ever. If you’re one of many, who want to try backpacking for the first time, there are some good tricks and tips you should be aware of before heading on your first expedition. There are ways to pack your backpack, so as to keep you comfortable for the duration of your hike. There are also suggestions for what should be packed for your trip. But above all this, the most recommended thing to do before you leave is to plan, and then go over your plan again. By doing some research ahead of time, you can prepare yourself for any terrain or conditions. That is where guides like this can come in handy because within this guide you will find steps that should be taken while planning. You will also find information on what should go into your backpack, along with tips on how to place the items you intend to pack within your backpack. The best thing you can do as a beginner is to find yourself a partner for your adventure. It is always best to have someone along, after all, there is safety in numbers. Finding someone with prior experience in backpacking is your best option. They will be able to recommend which gear works best for them, they will probably have some to share as well. That way you won’t have to spend a fortune on your first trip, after all, backpacking may not be the thing for you. In the event that you don’t know anyone who is experienced in backpacking, there are classes offered in some places that can teach you how to backpack. Maybe you and a friend can take one of these classes together, and then plan your first trip. Planning your route ahead of time is one of the best things you can do. Not only does this step better prepare you for packing, it also gives you the opportunity to relay your plans to a party that will not be coming along. This step can be used as a safety precaution, giving them the length of time you plan to be gone, and the route you will follow. That way in the event of an emergency, first responders will have an advantage in finding you. Selecting a route that works best for you can depend on several different factors. Each of these will play an important role when picking out your route of travel. Time: The question here is how much time have you given yourself for the trip? For a first-timer, a two to three-day excursion is considered ample time. You can increase this time frame as you gain more knowledge for backpacking. Fitness: Consider putting in some training time to increase your fitness level before the trip. If you don’t have the time for this, you may want to consider a less rugged terrain. You can always improve your fitness level with time, this will allow you to take on a more challenging trail. Elevation: Gains in elevation can cause you to slow down, especially with the added weight of your gear. If you’re not experienced with changing elevations, you may want to choose a route that has little to no elevation. Seasons and weather: Sunrise and sunset can affect your hiking time as well. You don’t want to set out in the dark, nor do you want to get caught in the dark setting up camp for the night. You can easily get a ballpark figure for when the sun rises and sets in the area you will be traveling. Keep an eye on the weather forecast for that area as well. Although some like to hike in the rain, you sure don’t want to be caught in a storm. Canceling your hike due to inclement weather is always better than taking chances. Transportation: This step is also important if you are hiking a loop style trail, this type of trail you will start and finish in the same place. Your means of transportation on a route like this is just to decide if you want to leave your own vehicle parked at the trail entry. For point to point hiking, you start at one spot and finish in another. For this you have several travel options, if you have a friend coming, you could easily park one car at the start and one at the finish. Another option is to find a place on the trail ahead of time to secure bikes, this way when finished you can bike back to your car. Although you will need to check to see if the trail you have chosen can accommodate this option. You could also ask a friend to meet you at the end of the trail for a ride back to the starting point. All of these options are perfectly suitable for trail hiking, you will need to figure out the option that works best for you. 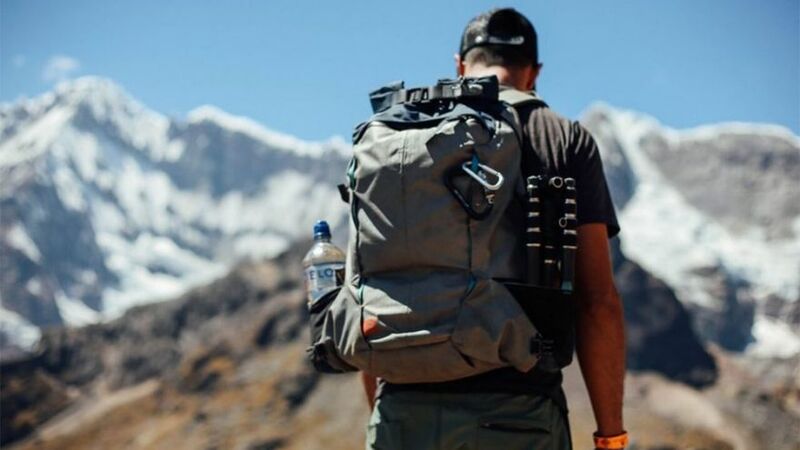 Backpackers with experience will tell you the same thing, that there are ten things considered to be essential when it comes to packing for the trip. These essential items should be packed for every hiking trip. These items may not seem like they are important, but forget them once and you will see their importance. Traveling in a group has advantages and disadvantages, if you choose to go with a group, it is possible that someone in the group may already have some of the gear you will need for setting up camp. You can also work together to split the gear list for camp, but be sure everyone in the group is on the same page when doing this. That way there won’t be any mishaps. One thing that you must keep in mind while traveling with a group, your pace should be set to the slowest member of the group. This step is essential to making it to your camp destination before dark. This way you aren’t trying to set up camp in the dark. Here you will find a list of gear that could be considered community gear, meaning it can be shared in packing responsibility as well as in camp use. Therefore alleviating some of the weight for the added gear. Tents: In case you’re not familiar with backpacking tents, they are considerably lighter in weight than your normal camping tent. If you’re going in a group, you can check to see if and how many people have tents that can accommodate more than one person. This can cut down on the amount of space needed at camp, as sharing tents cuts down the number of tents set up. Portable Stove: When traveling in a group larger than three people, having more than one portable stove doesn’t hurt. These are great for boiling water to heat your freeze-dried meals. You may want to find one that heats rather quickly and can be packed easily. This will reduce the time it takes to boil the water, along with the amount of weight and space taken up by the stove. Water: Some backpackers will carry in their backpacks the amount of water they think they will need for the trip. As you can guess, this adds a considerable amount of weight to your gear. Another good option would be to bring a filter, this way you can use the water source that mother nature has provided for you. If you choose this option to be sure to bring a water bottle or reservoir with a drinking tube. Also when traveling with a group, more than one filter will be needed. Make sure that everyone has a bottle or reservoir to drink from. Cooking Necessities: Depending on the stove you choose, you may need to bring a backpacking pot along in order to boil your water. Some stove options will have the pot already there for you. Talk to your group to see what is available, this will eliminate the need for the extra items.There are a few things that each member of the group will need. A bowl, spoon, or fork some backpackers will travel with a mug instead of a bowl. Check within your group, someone may travel with what they call a “kitchen kit.” These will normally contain spices, a longer spoon for stirring, a knife, and sometimes a spatula. If not, you may want to consider making this kit for yourself. In this section, you will find ideas for what should be packed for backpacking as far as personal gear goes. In reality, the choices you make for packing are entirely up to you, but following recommendations could drastically improve your experience. Clothing: When considering the clothing to bring along for your backpacking trip, try to consider the materials in which the clothes are made from. Choosing materials that have moisture wicking properties and are quick to dry are your best bet. Cotton is never really a good choice for hiking, this is because the cotton will hold moisture while you sweat, therefore soaking your shirt, while potentially putting you in danger. Below you will find a system for clothes packing that other backpackers use when packing for their trip. Many backpackers will tell you that this system is beneficial for knowing what to pack. Pack clothing that is considered a base layer. Base layer clothing should fit snug to your body, this will help hold in some heat from your body, keeping you warmer in cooler temperatures. Bring clothing you can use for layering, pants (nylon pants work best for this), shirts, and socks. Pack clothing or items that you can use for warmth, some good examples of this would be a jacket, fleece sweater, hat, and gloves. Be sure to bring some protection against the rain, like a jacket and pants. Even if you have looked at the forecast, we all know never trust what mother nature has in store for us. Some backpackers have a separate set of clothing used just for sleeping. This will typically consist of a shirt, pants, and socks. Keeping these separate will prevent you from sleeping in damp clothing from your daytime adventures. 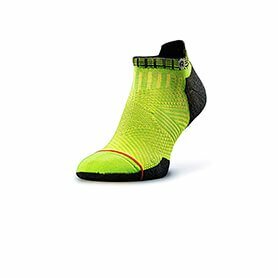 Shoes: There are many options on the market for hiking footwear, finding a pair that is versatile when it comes to terrain is ideal. This prevents you from having to purchase more than one pair of hiking shoes or boots. Keep in mind that your shoes are an important feature of your trip, if your feet are miserable it is a guarantee that your trip will be a flop. Whichever shoes you decide on, be sure to allow yourself an ample amount of time to break them in. Getting on the trail to test out your footwear is a major mistake, so be sure to break them in, your feet will thank you for it later. Backpacks: Backpacks have come a long way over the years, you can find them fully loaded with options, or a less expensive version that won’t have all the bells and whistles. If this is your first time backpacking, it is best to start with a less expensive version of a backpack. There are a few key points when selecting a backpack. You will want to find one with enough space for the number of items you intend to pack. Backpacks are typically labelled by the weight they will hold, if the backpack is labelled lighter, then it is typically used for a weekend adventure. The heavier the rating of the backpack the more you can fit, so it stands to reason, that you would want one like this for a longer trip. How your backpack fits your body is also important, be sure to try it out before you purchase one. In order for your backpack to fit properly, it must be no longer than your torso, this helps with balance while wearing the backpack. Lastly, be sure that your backpack fits snuggly at the hips, the hips are what typically hold the weight of the backpack. Sleeping Bag and Pad: It is best to choose a sleeping bag that is rated for the climate you will be backpacking in. There are three categories for temperature ratings when it comes to sleeping bags summer, three-seasons, and winter. Each of these categories has their own rating for what the sleeping bag can endure. When it comes to a sleeping pad, most hikers will choose either an air pad or a lighter weight self- inflating pad. These two are the top choices due to the fact that they are easy to pack, lightweight, and offer the most amount of comfort. Food: Since you won’t see too many backpackers trekking through the woods toting coolers behind them, you must be wondering what they eat. Well, most backpackers will pack the pre-made, freeze-dried meals, this way they can travel without the added weight of food. All you have to do to prepare these for dinner is to boil some water, add it to the packet and leave to sit for a few minutes. Of course, if you’re not too sure about these premade meals, you could pack dry foods such as rice or pasta. Items like this only require water to prepare, and won’t add a ton of weight to your backpack. You will want pack an ample amount of snacks for during your hikes. Some good snack options are jerky, granola or protein bars, and trail mix. Having these things on hand will keep your body fueled during the day. Other Items to Consider: As always safety is key when it comes to handling your food, as well as after using the bathroom. Since you will be out in the woods there really isn’t any running water for washing your hands. A great solution to this problem, bring along a small bottle of hand sanitizer, or a package of wipes. These wipes should be general purpose wipes, as you won’t want some of the chemicals that some wipes contain to come into contact with your food. Always lay all your gear out before packing your backpack, this allows you do one final once over. That way you can be sure that everything is packed. If you need to carry a form of fuel, be sure this goes to the bottom of your backpack. That way if it does leak it is only at the bottom of the bag. Bigger items should go next, heavier items to the center, this provides a more even weight distribution. When packing your clothing, attempt to pack light but efficiently, against everything you were taught as a child roll your clothing don’t fold it. Rolling will help you conserve space. Looking to compress some items to save space, well your in luck, you can purchase a compression sack for just this occasion. These work great for taking the bulk out of items like jackets and sleeping bags. If your packing freeze-dried meals, you can deflate the air from the bags by poking a small hole in them. Once the air is out of the bags, cover that small hole with some duct tape. Pack all your emergency items in one place, this will allow you better access to them when it is needed. A good place to store these items along with your flashlight is in an outer pocket. This way you will have easy access to them. Now that you have had a chance to learn some of the essential basics to backpacking, it is my hope that you use this information to go out and explore. Afterall the greatest part of life is being able to make great memories with all your family and friends.